Crown chakra is generally considered to be the state of pure consciousness, within which there is neither object nor subject. As the kundalini energy raises from the lower chakras, we enter into the realm of pure consciousness. The crown chakra is the center for deeper connection with ourselves and with a force of life greater than ourselves. The 7th chakra unifies the human mind with our higher selves, and takes us beyond the existence of space and time. This energy center is associated with wisdom, enlightenment and transcendence. I understand. I understand the impermanent nature of reality. I accept and honor the spirit within me and all living things. I embrace the unity of all beings and release all attachment. I invite sacred transformation. I am complete. 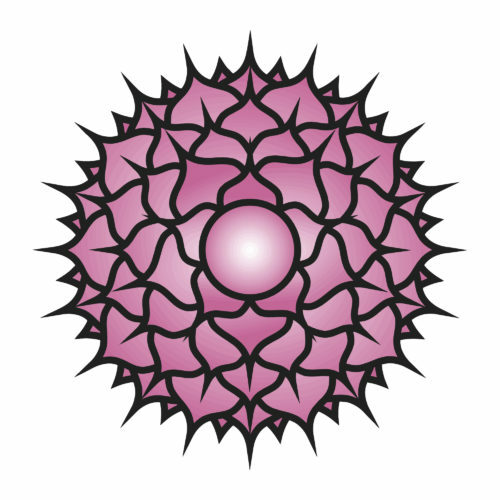 Symbol: Violet thousand-petaled lotus flower. Physical location: On top of the head, right in the center. Mantra: OM – The sound of the Universe. I understand. Mudra: Mudra of A Thousand Petals – Holding this mudra high above your head can open the gateway to universal consciousness, divinity and transcendence. Blocked: Depression, inability to learn, rigid thoughts on religion, constant confusion, fear of alienation. Open: Trust in inner guidance. Live in the now.